Rich Linton is Executive Vice President of Operations for Empower Retirement. 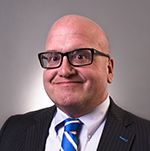 In his role, Rich oversees all aspects of recordkeeping and plan administration operations, including participant and plan call centers, compliance, conversion and implementation services, client services and financial controls. Rich joined the organization in 2016. He has more than 25 years of retirement industry experience managing all aspects of the defined contribution business. Rich spent two decades at Fidelity Investments, where he gained deep experience running a major part of the operations organization. He served in a variety of leadership roles in operations, sales, product, marketing and client services before becoming Executive Vice President in the advisor retirement business. From there, he went to Bank of America, where he served as Managing Director of the business retirement solutions group. Before joining Empower, Rich served as President of large corporate markets and retail wealth management for Voya Financial. There, he oversaw sales and marketing, relationship management, product development, platform management, field representative service, brokerage operations and strategic planning. Rich holds degrees in economics and mathematics from Boston University. He is board chairman and president of the Society of Professional Asset-Managers and Recordkeepers (SPARK). He also serves on the board of trustees of Colorado Succeeds, an organization comprising business leaders who are working to improve Colorado’s schools. Steve Jenks is Senior Vice President and CMO for Empower Retirement and Great-West Financial®. Steve has more than 25 years of marketing, product and business leadership experience. He joined the organization in 2014. Previously, Steve served as Head of Defined Contribution Product and Marketing for Putnam Investments, where he helped shape and execute growth strategies for the organization’s defined contribution, investment-only and rollover businesses. He joined Empower and Great-West in 2014. Steve began his investment industry career in 1990 with Fifth Third Bank. From there, he held leadership roles in marketing, product, finance and relationship management for Fidelity Investments from 1992 to 2009. Steve also co-founded Acceleration Retirement, a marketing analytics and outsourcing firm, and Stable Two Financial, a registered investment advisory company. He served as CEO of both companies. Steve holds a bachelor’s degree with distinction in business analysis from the Indiana University Kelley School of Business. He is a registered representative of GWFS Equities, Inc. and maintains FINRA series 6, 26 and 63 securities registrations. Steve is currently on the boards of the American Red Cross, Mile High Chapter; Big Brothers Big Sisters of Colorado; and Court Appointed Special Advocates for Children (CASA) Colorado. Jen Nyhouse is Vice President and Chief Internal Auditor for Empower Retirement and Great-West Financial. In her role, Jen is responsible for overseeing the internal audit function, which provides independent and objective assurance to the firm and the board. Jen joined the organization in 2015 as the Vice President of Financial Process and Control where she was responsible for overseeing the internal control over financial reporting program, the enterprise project management office and overall finance process improvement initiatives. She has over 20 years of progressive experience, including in KPMG’s Advisory practice, where she delivered internal audit and management consulting services to clients in a variety of industries. 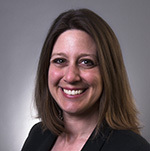 Jen holds a MBA from the Indiana University Kelley School of Business and a bachelor’s degree in business administration from the University of Colorado at Boulder.